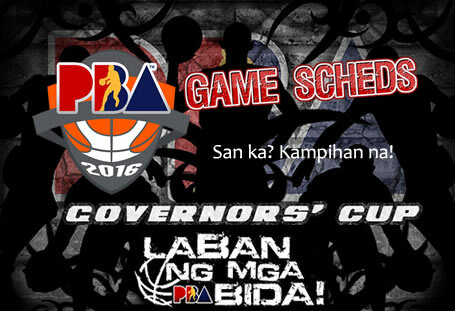 The information below contains the list of all the game schedules (date, time, place of games), results (scores, winning teams), team standings for elimination round, semifinal and finals (championship) round, and all the participating teams for the 2016 Philippine Basketball Association Governors' Cup. Game Schedules for the ELIMINATION ROUND (only) are below. Game Schedules for the QUARTERFINAL/SEMIFINAL & FINALS ROUND are below. The schedules above may still change. Games 5, 6, 7, and 8 are only if necessary. Games from October 2 to October 5 of the SEMIS are only if necessary. Notes: Games 5, 6, and 7 are only if necessary. Note: Please be noted that the game schedules written above may be changed or reset. Also, the released schedules as of now are just partial. Please bookmark (Ctrl + D) this page to get the latest updates for the complete schedules.